Vacation time. Planning for an outing? Looking for new movies to watch for? We will suggest you, make this movie in the watch list. Here, we are talking about the upcoming film 3 Dev. It is an upcoming comedy film releasing on 1st June. Not only one but there are various reasons you should go and watch for 3 Dev. Check out. The trailer of the film was released on 27th April and it was very well appreciated by the audiences. Full of humor and comedy and with a new concept. 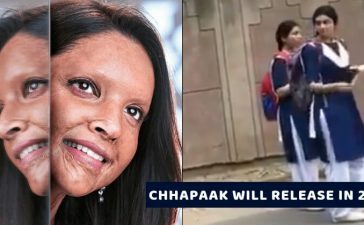 If you have not watched the trailer till now, you can watch below. The film stars dashing Karan Singh Grover, Ravi Dubey, Kunaal Roy Kapur, Kay Kay Menon, Tisca Chopra, Raima Sen, Poonam Kaur and Priya Banerjee. After looking at the trailer, it is not a normal story, in fact, it is different. 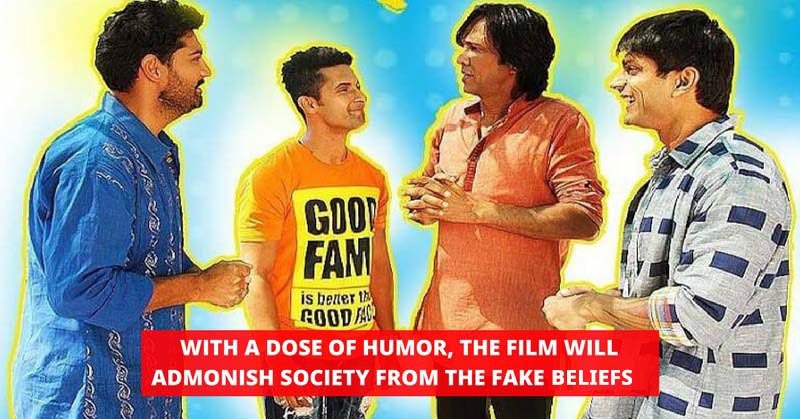 The movie stars Karan Singh Grover, Ravi Dubey, and Kunaal Roy Kapoor and they will play the anthropomorphic forms of Hindu Deity Vishnu, Brahma, and Mahesh respectively. The trailer is full of humorous events that will tickle you for sure. Yes, something different to watch. 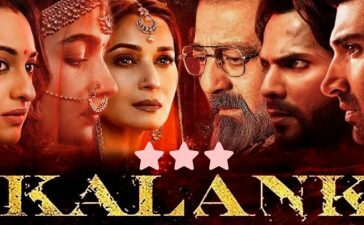 People are excited about the movie and as its first song ‘Nikamma’ sung by Rahat Fateh Ali Khan is already trending worldwide and it is the soulful love anthem of this year. The song is very beautifully written by Kausar Munir and composed by renown Music Duo Sajid Wajid. Song has the amazing chemistry of the stars. Have you still not watch the song? 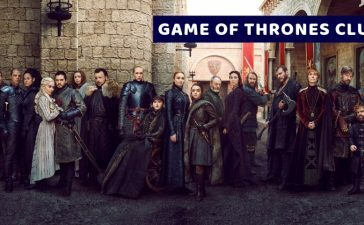 I am sure you will become a fan of it and listen to it in a repeat mode. Watch it, then only you will convince. How was it? I am sure you liked it. Fall in love again with this song. 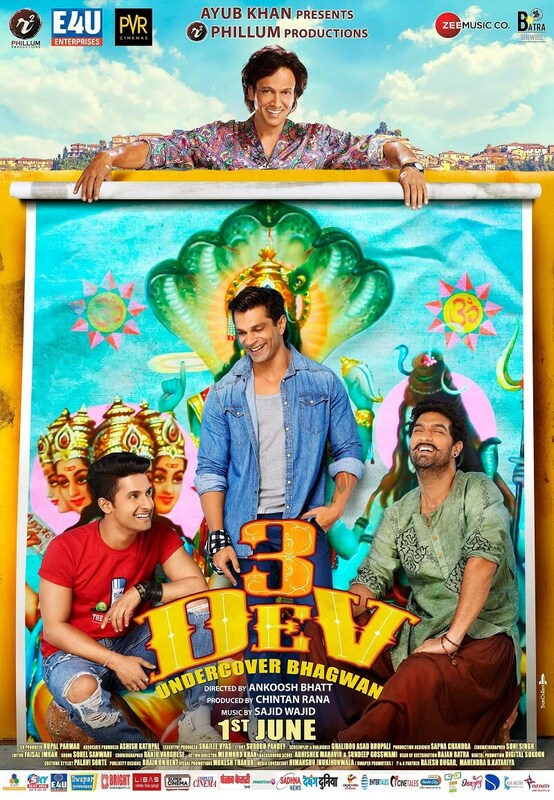 3 Dev is directed by very famous director Ankoosh Bhatt. Ankoosh Bhatt has given Bollywood couple of amazing movies Bhindi Baazaar and Mumbai Mirror. This time he is coming up with comedy. I am sure this will excite you that which flavor Ankoosh is bringing this time to Hindi Film Industry. 3 Dev is a film which you can watch with your children’s as well. 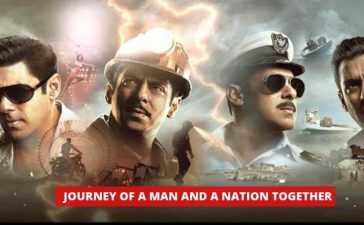 As per the makers of the movie, it is a complete family film with a beautiful message which you can watch with everyone. We hope, these are the convincing reasons to go for 3 Dev on June 1st. The booking of the movie will open soon, Entertales and Cinetales will keep you updated with more news about 3 Dev. Let us know and share your thoughts about trailer and song in the comments.